New flight plans went in place last year. Since then, residents in a number of neighborhoods have complained that noise from airplanes departing Reagan National Airport is now unbearable. WASHINGTON — In an effort to curb airplane noise that is disturbing D.C. residents, the Federal Aviation Administration may be altering the flight paths of planes departing Reagan National Airport. “We know the noise is a problem for a lot of folks,” said David Mould, spokesman with the Metropolitan Washington Airports Authority. New flight patterns were put in place last year under NextGen, a more sophisticated air traffic control system the FAA is switching to that is satellite-based instead of the traditional radar-based technology. 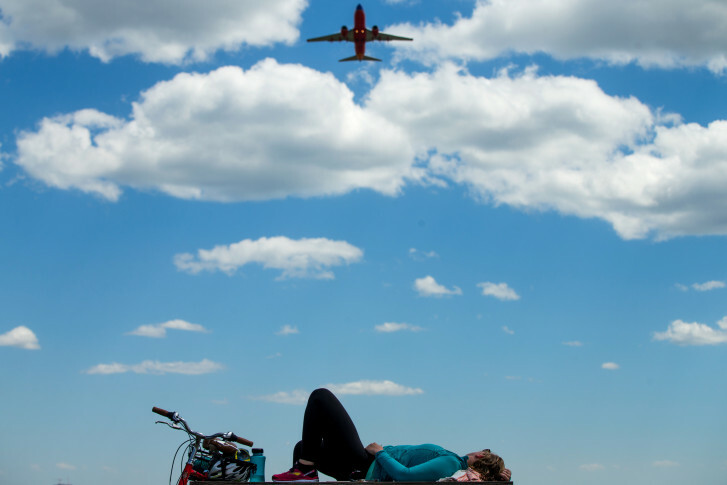 The FAA says it is a more efficient system that saves fuel, but residents living in a number of D.C. neighborhoods have complained that noise from airplanes departing Reagan National is now unbearable. This week, D.C. Delegate Eleanor Holmes Norton announced she wrote a letter to the FAA supporting a citizen group that is pushing for change. “I write to support my constituents in the D.C. Fair Skies Coalition who have filed a petition because they have been unable to receive relief,” she wrote. Most of the complaints have been coming from neighborhoods in Wards 2 and 3, including Georgetown and Foggy Bottom. “Amazingly, residents report that airplane noise is actually starting to intensify in other parts of the city, including the Bellevue neighborhood of Ward 8,” Norton wrote. “I can only hope that improvements occur after an announcement I am told FAA will soon be making about potential new departure flight procedures,” she wrote. The airports authority says the most effective change would be to keep planes away from land and directly over the Potomac River. “We’re looking for ways to maybe adjust these flight paths to have them follow the water a little bit more closely,” Mould said. Although, such a change would not happen quickly. It would likely take somewhere between a year and 18 months to implement, according to Mould.